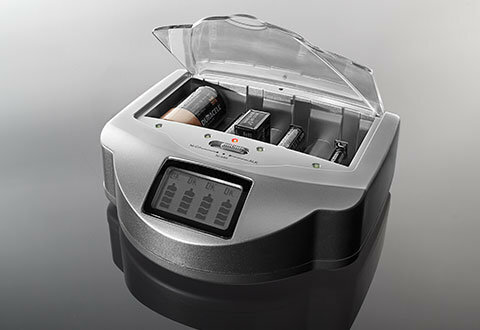 The Sharper Image Universal Battery Charger is a great tool for anyone who gets sick of going to the store to buy new batteries over and over. It will save you a lot of money in the long run as well if you buy disposable batteries often, as it can regenerate almost any household battery up to 70 times. 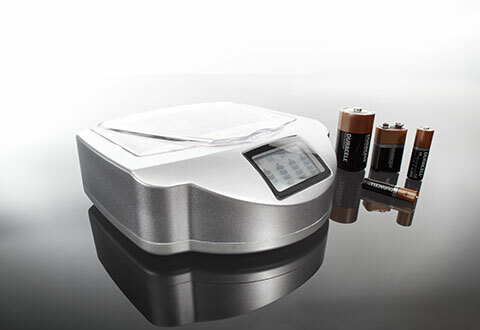 The types of batteries included are disposable alkaline batteries, NiCd batteries, and NiMH batteries. The tool comes with four charging docks, and you can actually use them all at the same time and charge batteries of multiple sizes simultaneously. The four sizes include AA, AAA, C, and D/9V. The docks also protect against a few different issues, such as overheating, overcharging, polarity reversal problems, and short circuiting. The LED indicator will show you when the batteries are fully charged, and the device will plug into an AC outlet. This gadget weighs 0.91 pounds; it is 7 inches long, 6 inches wide, and 2 inches tall, making it compact and convenient for regular use.